The hardest part about getting health back on track after being soooo unhealthy for so long? Well, getting back on track! Since Em's traumatic brain injury in 2004, the stress of taking care of her has taken a toll on my health. I have tried MANY, MANY times to get my health back on track but I have failed. I am working on it now but I have learned that the best way is through baby steps. I didn't become overweight, fatigued and eating badly overnight and getting healthy won't happen over night. Getting healthy is much more than losing weight. As I am getting closer and closer to 40, I am learning just how much harder it is to lose weight and instead I am focusing on the healthy living factor over what the scale says. I'd rather measure my progress in how my clothes fit, the energy I have, the appearance of my skin, etc. Do you feel the same? 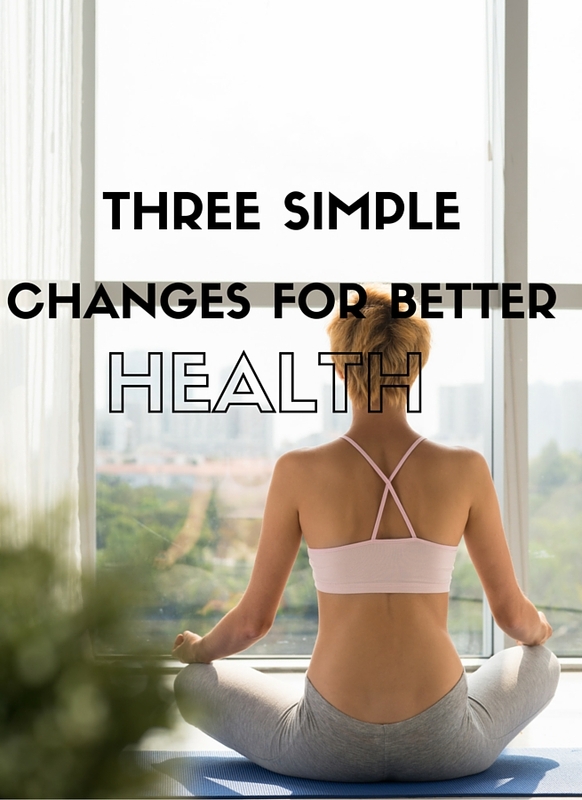 I've shared previously about some of the changes I have made in regards to how I am making small changes in regards to eating and exercising but today, I am sharing three simple changes for better health that are beyond weight loss. Should be a no brainer, right? I think so many of us give up our precious sleep for many reasons and some reasons are beyond our control. I battle with PTSD, severe anxiety, major depression and pain (neck, shoulders and hips). This creates a bit of vicious circle. Without sleep, mental health suffers but anxiety and PTSD can cause havoc with sleep. Some of the ways that I have been challenging myself to improve my quality of sleep is to cut off caffeine after 4 pm, cut off computer/phone/ipad gadgets one hour prior to bed time, and clearing out all the clutter in my bedroom and creating a safe place. So far? It's been a win. 2. Finding time for hobbies. Work. Work. Work. Go to work. Come home and cook, clean, laundry, take care of children, work on blog, etc. Do you feel like ALL YOU DO IS WORK? The things you love to do but can't ever seem to get to are beckoning you. I love to read, I love to craft jewelry, and play games but lately, I haven't touched any of them. I decided that the pile of laundry can wait. I'd rather play Chutes & Ladders with my daughter. It's stress relieving and improves my blood pressure (Totally not kidding). I also get to work 30 minutes before I need to go in and sit in my car and read. I haven't finished a book in awhile and I have missed being swept into a fictional world and falling for fictional characters. Find time to do what YOU love. Even if it's for only 30 minutes to an hour a week! 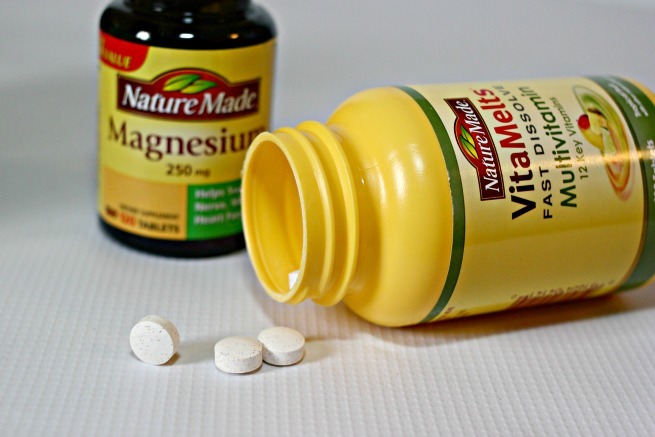 Are you looking for additional motivation while on your journey to regaining your health? Visit Daily Boost for daily motivation!